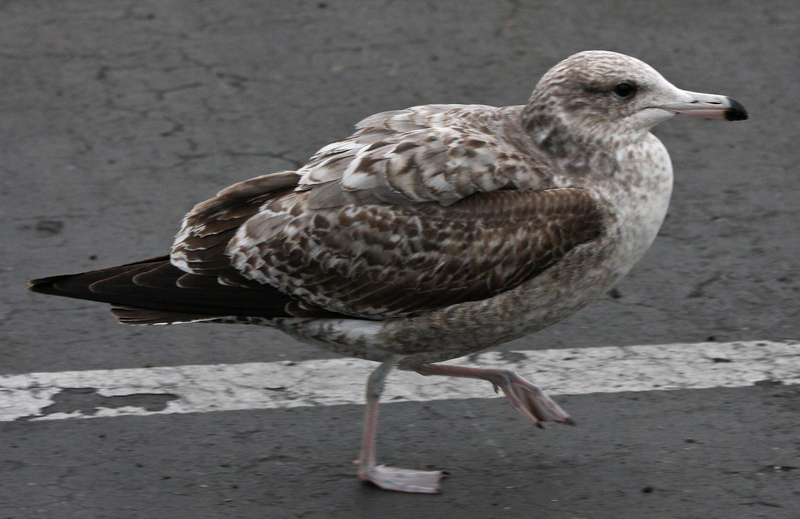 California Gull californicus 1st cycle (2CY), January 11 2011, Milpitas, California, USA. Picture: John Cant. Scaps and several inner coverts replaced for 2nd gen. First gen flight-feathers.